It is replaced by the SATO CG408. 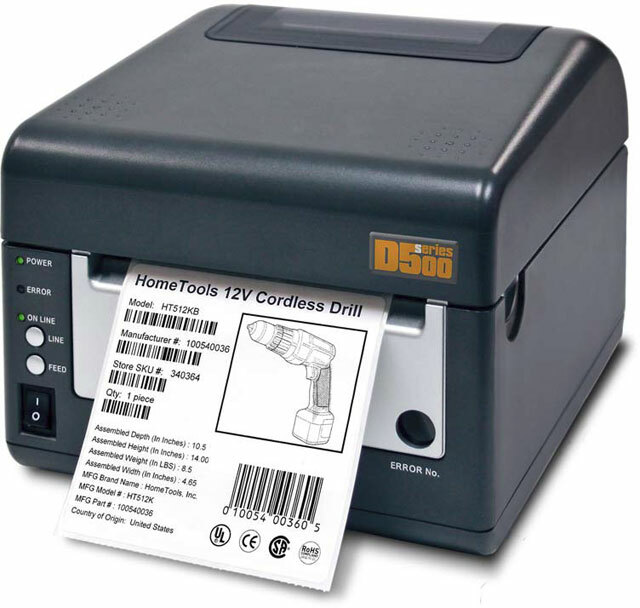 The SATO D512 Direct thermal Printer is a complete, high-performance on-site labeling system. Employing a 305 dpi printhead, the D512 produces sharp looking graphics and small point-size text with excellent legibility. It can print labels up to four inches in width and provides an economical labeling solution for most applications. D512, Direct thermal printing, 305 dpi, 4.1" print width, USB interface and cutter.